These invite only sites are popping up all over the place - and here is another one: LilLuxe. Right now they are featuring one of my favorite kid brands Coco Bonbons. 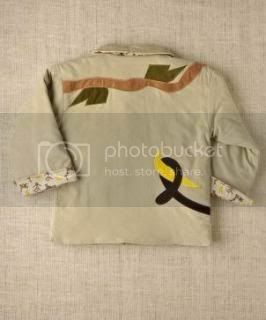 The clothes are such great quality with cute designs. 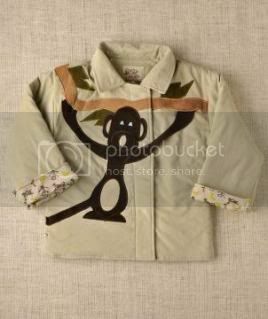 Like this adorable Cordoroy Monkey Jacket - with the cute tail grabbing a banana on the back. Normally $52 (crazy price for a kids jacket!) and its $17 on LilLuxe. Join the site and check out the other stuff from Coco Bonbon (they have cute overalls too) and the other brands featured on LilLuxe. And remember a long list of member/invite only sites are listed on my blog (to the right) and you can always email me or leave a comment to request an invite!